WE ARE NO LONGER ACCEPTING NEW KIDNEY CARE PATIENTS AT THIS TIME. In the fall of 2013, the Vancouver Naturopathic Kidney Care Clinic (VNKC) opened its doors. Dr. Quinn Rivet N.D., who directs and runs VNKC, has studied and treated kidney disease non-pharmacologically for more than 17 years and is author to a book on natural approaches to kidney disease. After encountering hemodialysis and two successful kidney transplants, Dr. Rivet has been drug-free and has had perfect kidney function for the last 12 years. Backed up by an experienced team at St. Joseph’s Hospital in Hamilton, Ontario, Canada, Dr. Rivet finds his success by a thorough understanding of non-pharmacological medicine. The VNKC clinic does not aim to act as an alternative approach to kidney disease, and does not recommend negating advice from your nephrologist. Instead, it is meant to be used in addition to existing medical therapies. Research has proved non-pharmacological therapies helpful in stopping the progression of kidney disease. Sufficient evidence has showed that non-toxic, non-pharmacological substances, when clinically implemented, can have benefits on the kidney and the biological system as a whole. Many aspects of kidney damage can be treated holistically, including inflammation, oxidative damage, high blood sugar, growth factors, and high blood pressure. With a focused understanding of kidney disease and its treatment process, Dr. Rivet helps patients dealing with various kidney problems increase their health and wellbeing. Using dialysis, transplants, and other supportive treatment methods, VNKC aims to provide ongoing treatment to patients using non-pharmacological therapies and to advance natural kidney disease treatment as a whole. During your first appointment at VNKC, Dr. Rivet will perform a physical examination and review your health history and the results of your laboratory reports. 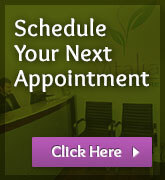 The average initial appointment lasts 1 hour. Depending on your individual case, Dr. Rivet will decide if further testing is needed and what therapies would be best for your case. A report will be sent to your medical doctor and nephrologist regarding any new therapies and these therapies will not interfere with any current medications you may be taking. Follow-up appointments are generally recommended once per week for a 4 to 6 week period, depending on the type of therapy administered. One treatment per week for a 4 to 6 week period may be required if you are undergoing I.V. therapy or acupuncture. Laboratory testing from your medical doctor and neurologist will be used to track you progress. 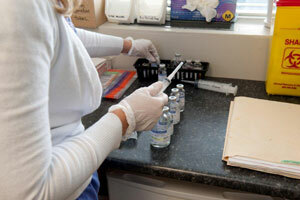 The VKHC clinic may also use other types of blood testing depending on your specific case. There are a number of lab tests that can be highly beneficial when tracking the progression of kidney disease, as well as cardiovascular disease and hypertension, including cystatin-C, c-reactive protein, homocysteine, oxidative stress analysis, ferritin, and asymmetric dimethylarginine. The results of these lab tests can help target your treatment plan and can be used by Dr. Rivet’s clinical research team. Consult with your medical doctor about other suitable tests. The VNKC clinic works as a team to provide natural treatments designed to improve your health, mind, and body. We will work as part of your existing health care team, while providing counseling to ensure that your stress is controlled for better wellbeing. Dr. Rivet uses a combination of neuro-emotional technique (NET) and Rogerian, as well as empathy, to help you find relief for stress and bring control to your life. 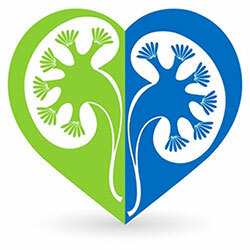 Our vision here at VNKC is to reduce the rate and progression of kidney disease and support advances in natural kidney disease treatment. Dr. Rivet uses a combination of herbal, diet, dilutional therapy, acupuncture, and other natural therapies. The treatment chosen for you will primarily depend on your existing health and what natural therapies will be beneficial in your case. No treatments will affect your existing medical treatment, and if you are a transplant patient, you will be required to continue antirejection medications.